After being beat up from pillar to post last week by the Eagles, the Steelers return home Sunday night to the lights of prime time for the second time in the first four weeks of the season, as they play host to the Kansas City Chiefs. The Chiefs were winners last week over the Jets in a game in which they had about 15 turnovers (or at least it seemed), and this is a very well coached team that took care of business last season against the Steelers in Arrowhead Stadium. The Steelers have a number of starters out (four to be exact) and after last weeks 31-point loss in Philadelphia, there’s a lot of questions about just how good this team may or may not be, and this game has had some interesting odds all week with the Steelers being a four-point home favorite by most sports books. Here’s our keys to the game, as well as our prediction of if the Black and Gold can get to 3-1, or will be 2-2 after 1/4 of the 2016 season. 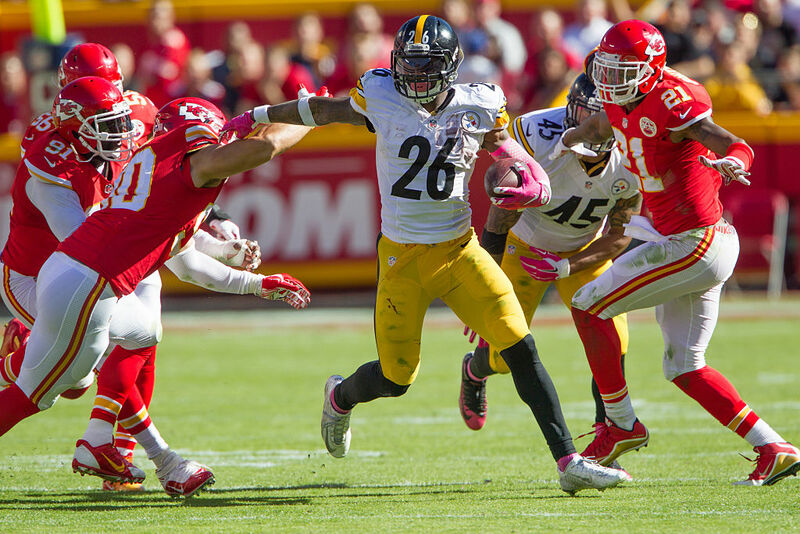 Last week as they fell behind early and never recovered, the Steelers run game which had been so good in weeks one and two really was a non-factor. Now with a combo of both Le’Veon Bell and DeAngelo Williams, this team should be able to get back to getting chunks of yards on the ground. It will be downright fun to see how Todd Haley uses both Bell and Williams, but at the end of the day the best way to keep the Chiefs defense off guard is to simply get the run game going early, and also don’t be shy about using Bell and DA in the pass game as well. The Chiefs defense forced eight turnovers in the win over the Jets last week, and they are on a mission each week to do whatever they can to help their offense with short fields. One matchup that has to be taken into consideration is that of Antonio Brown against Marcus Peters, a WR/CB back and forth that could be fun. Peters who was the AFC Rookie of the Year last year is rounding into one of the better players, and at 6-foot is going to give Brown all he can handle. Unlike Josh Norman in week one, you can expect Peters to be guarding AB all night. This also means Big Ben has to be careful, as if there’s one thing this Chiefs thing has shown, they can snag the ball at an alarming rate. If you grab a milk carton before Sunday night’s game, don’t be shocked to see the Steelers pass rush on it as ‘Missing.’ Last week rookie QB Carson Wentz could have made a four-course meal and still had time in the pocket to throw the football against the Steelers. Alex Smith this week can do the same thing Wentz did if he has the time like the rookie did a week ago, and he’ll pick apart the Steelers secondary. It’s up to Steelers defensive coordinator Keith Butler to start to get a better game plan to get more aggressive against QB’s, and while the first two games dropping seven or eight players into coverage seemed to work, it’s time to unleash some players and get some sacks already, and if not sacks at least pressure on the QB’s so they don’t have all day to throw. Be the first to comment on "Steelers Gab 2016 Week 4 NFL Preview – Kansas City at Pittsburgh"